iBoysoft Data Recovery is a leading data recovery software that can help us to recover deleted files even if emptied from Recycle Bin, recover data from RAW, formatted, inaccessible, corrupted, even deleted or lost partition. iBoysoft Data Recovery supports the recovery of almost all types of data, including photo, document, music, video, email. Installed it on a Windows PC (Windows 10/8/7/Vista/XP or Windows Server 2016/2012/2008/2003), it can perform data recovery on various storage devices, such as internal hard drive, external hard drive, pen drive, memory card, and USB flash drive. Recover deleted files even if emptied from Recycle Bin, but it is impossible to recover deleted files once the deleted files are overwritten, especially for files deleted from system partition. 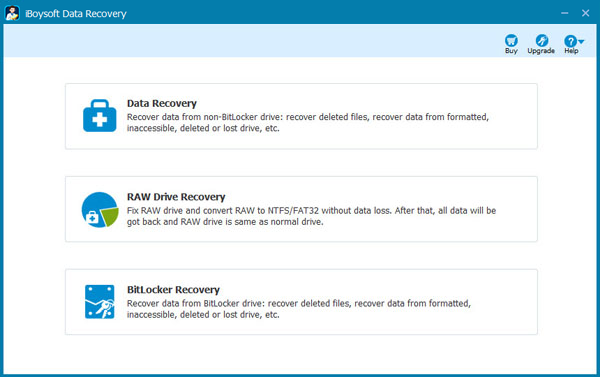 Recover data from deleted/lost partition or unallocated space because of partition deletion, repartioning hard drive, partition error, lost partition table, diskpart, partition failure, etc. Thanks to Juno from iBoysoft we are able to giveaway iBoysoft Data Recovery Professional for Windows Free for 72 hours as part of Promo2day Anniversary Celebration. Just download product and use the license key shown to activate the product. Requirements: Can only be activitated during giveaway.